Originally from Paintsville, Ky., Rebecca Liebert is from a family of University of Kentucky graduates. Before arriving at UK, Rebecca’s plan was to obtain a chemistry degree and then apply to medical school; but through a chance meeting with some chemical engineering students while visiting campus, she began to learn about the chemical engineering program at UK. Not long after her freshman year, Dr. Liebert dropped medical school from her future considerations and began looking at graduate schools where she could obtain a graduate degree in chemical engineering. After earning her Ph.D. from Carnegie Mellon University in 1995, Dr. Liebert joined NOVA Chemicals, Inc., as a development engineer. As a Six Sigma Top Gun, she assumed responsibility for eliminating the cost of poor quality and saved the company $10 million. She also helped plan and implement the integration of a $750 million acquisition. As NOVA’s global business development leader, Dr. Liebert designed a strategy to maximize profitability of 3.5 billion pounds of styrene monomer sales and produced annual sales revenue in excess of $25 million. Although her business acumen increased with experience, Dr. Liebert decided to pursue an MBA from the Kellogg School of Management at Northwestern University. She commuted from Pittsburgh to Chicago on weekends and completed her degree in 2003. In the meantime, NOVA tasked her with taking profit and loss responsibility for a 1.2 billion pound, $800 million revenue business consisting of seven product lines produced in five North American manufacturing locations and sold globally. In 2004, Dr. Liebert seized a new opportunity, becoming president of Alcoa’s Reynolds Food Packaging and Kama divisions, Inc. Responsible for a $750 million business consisting of manufacturing and sales of plastic, foil, film, etc. for the food packaging industry, Dr. Liebert stabilized the business and workforce by reducing inventory and lead times while improving customer responsiveness and service. She remained with Alcoa until 2006, when she joined Honeywell Electronic Materials (HEM) to become vice president and general manager. In order to take advantage of international growth in the semiconductor and related electronic products markets, Dr. Liebert helped transition HEM from a largely U.S. centric organization to a global business. 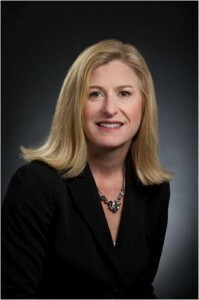 From rebuilding HEM’s product pipeline to developing and executing a turnaround strategy for one of HEM’s struggling businesses, to deploying lean methodologies that reduced manufacturing costs by 10-30% and effective cycle time by 20% for key products, Dr. Liebert’s accomplishments were such that she was named Honeywell’s International 2012 Executive Grand Prize Winner for Leadership. In 2012, Dr. Liebert was made senior vice president and general manager of Honeywell’s gas processing and hydrogen division, UOP LLC. Establishing a platform of performance, accountability, connectivity and growth, Dr. Liebert’s leadership led to immediate margin improvement. In one year, Dr. Liebert grew the division revenues of less than $300 million per year to over $900 million. In 2016, she was named President and CEO of Honeywell’s gas and hydrogen division, UOP LLC. Dr. Liebert and her husband, Keith, live in Sewickley, Pa.